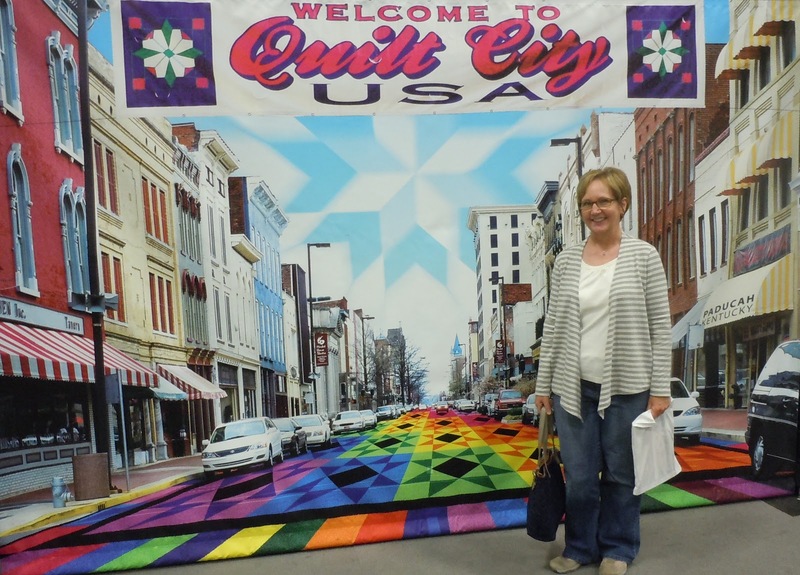 I’m here in quilter’s mecca, Paducah Kentucky and it’s wonderful. 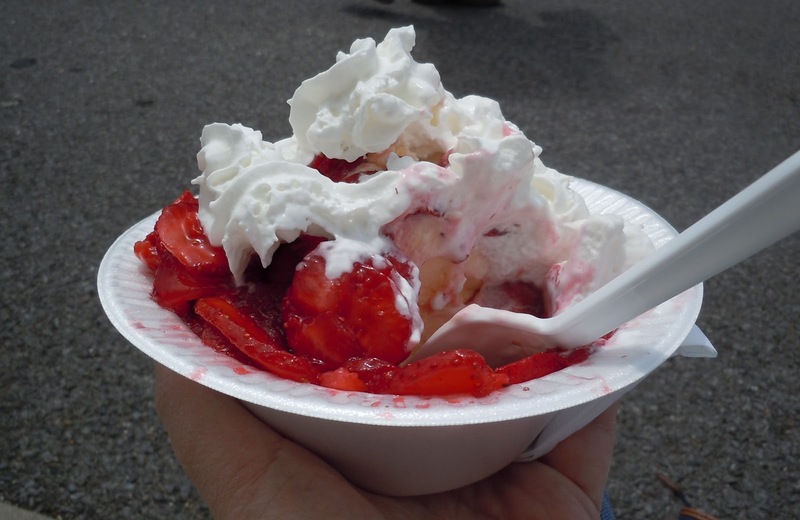 Two years ago I came as part of a tour group and the guide told everyone to be sure and sample the Boy Scout’s strawberry shortcake before we left. Well, (sad face here) my friends and I never did have that shortcake even though I might have mentioned it at least once or twice … okay, maybe a few times. So you know what I had for lunch today! p.s. 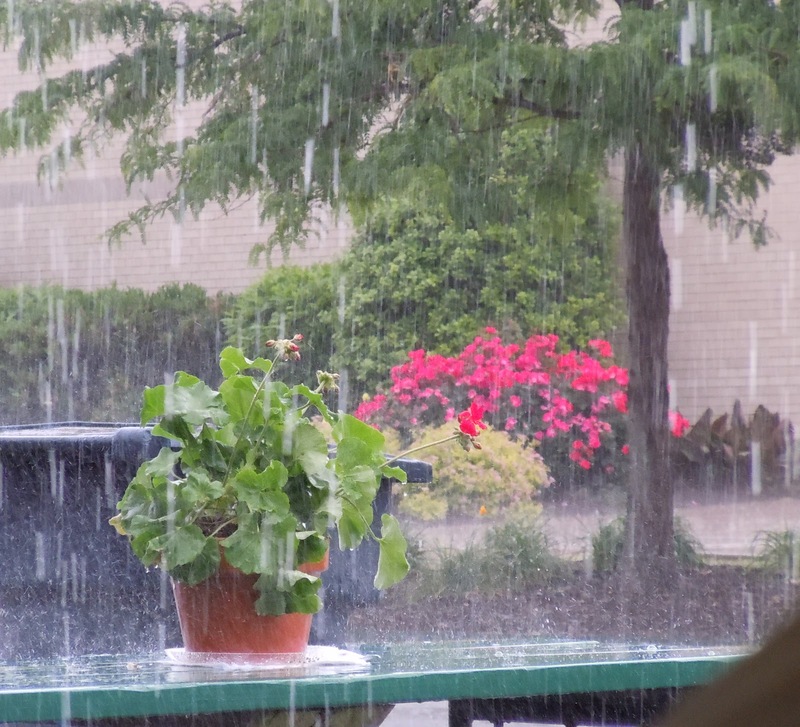 The rain smelled good – earthy and fresh. Today was a smorgasbord for the senses.